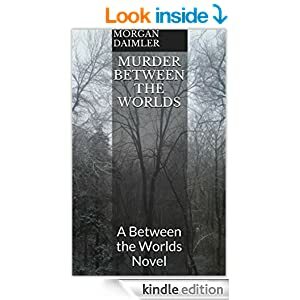 Today we have an exclusive from Morgan Daimler and her book Murder Between the Worlds. After work Wednesday she decided to visit an old friend so she stopped at the town’s Chinese restaurant on the way home to grab food to share. It was never a bad idea to show up to visit a creature of Fairy bearing a gift, and she knew this one had a weakness for sweet and sour chicken and pork egg rolls. Dynasty Moon was run by a pair of Hulijing, Chinese fox spirits, and it was widely agreed that they made the best take-out in town. They were pricey though, and Allie couldn’t eat there very often, but she felt like splurging a little, despite her worries over her anemic bank account. After picking up her order she headed home in a better mood. 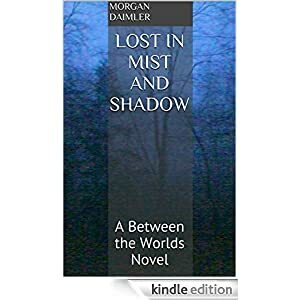 She parked her little car in its usual spot and hiked around the house towards the woods behind the backyard with the bag of takeout in one hand. The wards on the perimeter of the property extended to cover the expanse of yard from the curb to the stone walls that bordered the other three sides of the lawn, but the property itself actually went back almost a dozen acres. It just wasn’t worth the energy and effort to keep wards up on the entire area all the time, so they didn’t bother. Reaching the stone wall that marked the back edge of the yard Allie climbed over easily, feeling the customary tingle as she crossed from the warded to unwarded side. Her shoes crunched in last year’s leaves and she whistled cheerfully, ducking low branches and weaving through the underbrush. There was no path to follow but Allie knew the way. “And two pork egg rolls.” Allie agreed. “And you.” Allie had met the kelpie when she was wandering the woods as a child and although he normally could be quite a dangerous creature he seemed to have developed a rough sympathy for the lonely child over the years that eventually grew into a friendship. He often wandered the woods in the form of a large black dog, but he always hunted in his horse form; she had learned over the years that his humanoid form was a sign of trust with her, although she didn’t doubt he would also use it to seduce the unwary if it served his purposes. Allie had been very clear with the other people living in the house that no one else was to go back into the woods; she doubted their friendship would keep him from eating one of her roommates, and while it was unlikely that he would risk the consequences of such an action, she didn’t want to take the chance. These days the Elven Guard maintained order by ensuring none of the creatures of Fairy were allowed to harm humans. But in the old days Ciaran had fed on murderers and oath-breakers. Even as a child Allie had wondered if he occasionally still took human victims along with his animal prey and was just clever enough not to get caught, but she had never quite dared to ask. “Not bad. Winter’s always a slow time though, nothing much to do, no good hunting.” He shrugged as she handed him the bag. “That would be kind. I haven’t read anything new in ages. I’m not picky, anything will do as long as it’s a good story.” He pulled out the package of eggrolls and eagerly began devouring them in a way that she would have found disturbing if she’d let herself think about. “Sure thing. I’ll try to get out here in the next week or two if I can, with some for you.” Allie made a mental note to go through and pick out a selection of books for him to try. She certainly had more than enough to share. “Allie, be careful with yourself.” Ciaran said unexpectedly. “Well you’d certainly be seeing a lot fewer egg rolls,” Allie quipped, stalling for time. 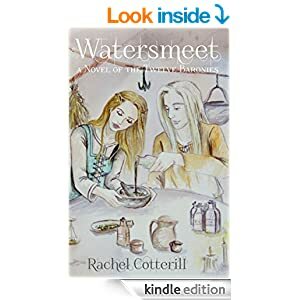 She was touched that Ciaran cared enough to pass on any warning, since it was certainly not in his nature, and she was not at all surprised that the Guard were upsetting the Fey in the Borderland, many of whom lived in the Bordertown precisely to try to avoid the elves’ control. Later, as she walked back through the woods to the house she found herself hoping that her part in this particular dangerous game was already over.